Welcome to About MountSion Gaa, Here you will find all about our history and more! 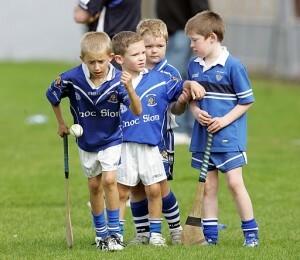 Mount Sion GAA Club is based not on a parish or an area, but on a people …… a people in love with a game called hurling. Founded in 1932, it has become Waterford’s most successful hurling club, in fact one of the top and most respected hurling clubs in the Country. The club grew out of Mount Sion Christian Brothers’ School in the centre of Waterford City. Hurling was strong and vibrant in the school from 1915 onwards. The Christian Brothers believed that a new club was required which would cater for the young teenage hurlers of the school and for its past pupils. So Cnoc Sion / Mount Sion GAA club was founded in ’32, bearing the name of the school and wearing its colour of royal blue and white. 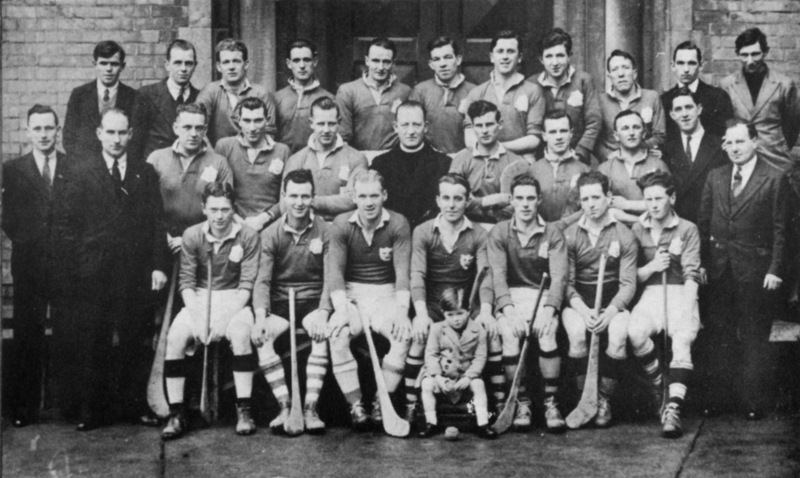 Success followed immediately as the new club won the County Minor Hurling Championship in the following years, 1933 and ’34, an indication surely that the hurling potential was there. The first adult Title came in ’34 when Sion won the County Junior Hurling Crown. The club won its first County Senior Hurling Title in 1938 and 60 years later in 1998 it won its 30th County Senior Hurling Title: a record not achieved by any other GAA club in Ireland, 30 Senior Titles in 60 years. Mount Sion and Faughs of Dublin both with 31 Co. S.H. Titles, hold the national record for S.H. Titles won. The club has won 4 Senior Football Titles, 7 under-21 Hurling Titles and 26 Minor Hurling Titles, plus numerous others in various grades. 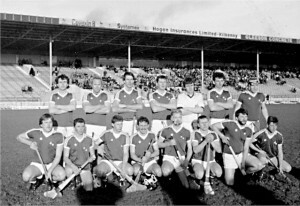 The 10 year period from 1991 onwards, was the club’s most successful decade across the different age groups, as is clearly evident from the following range of County Titles won: 3 at under-14 hurling, one under-14 football, 3 under-16 hurling, 6 at Minor hurling, 4 at under-21 hurling, one at Junior football and 3 at Senior hurling, plus numerous Titles at under-11, under-12 and under-13 all at division one level in hurling. Very few clubs can match Sion’s success story of the nineties. Large numbers of Mount Sion hurlers progress annually from wearing the blue and white of Sion to the white and blue of Waterford. Seldom has a Waterford hurling team taken to the field without a Mount Sion man on board. Since its foundation many decades ago, Sion has provided leadership and inspiration to Waterford on the hurling fields of Ireland. Mount Sion GAA Club has served and catered for thousands of young people since its foundation. Wave after wave of young energetic boys grew up together as teenagers, training, playing and enjoying sport as they wore the blue and white. Success came to Mount Sion teams. They had a great belief in their own ability as hurlers. They had a passion for hurling in particular. Many of them brought this same passion and self-belief to the County team, as they wore their Waterford jersey with pride. Behind the scenes, many voluntary people have worked as trainers / coaches for the various panels – at under-age and at adult level. Many of these hard-working volunteers get little or no recognition. Without them many of the Mount Sion hurlers would not have become the ‘house hold’ names. The club acquired its own grounds in 1950. 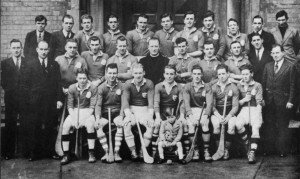 From 1932 to 1950 Mount Sion had no field of its own but had the use of Walsh Park for training and it was shared as a training base with its greatest City rival on the Inter-Club Hurling scene, Erins Own. 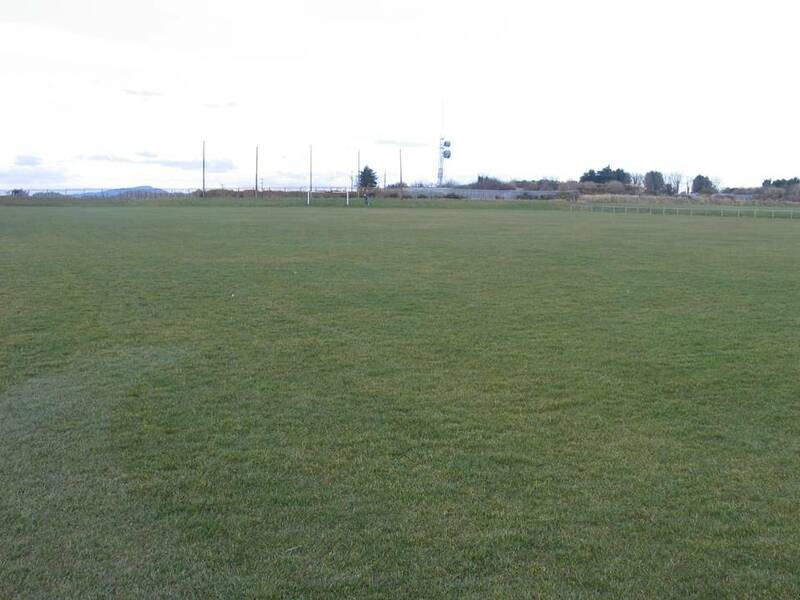 Both the club and the school leased 14 acres from Waterford Corporation at Rathfadden. 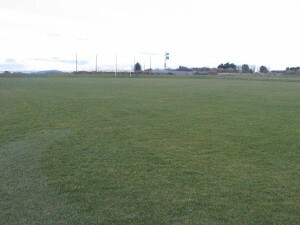 Over the years the property has been developed and today Mount Sion GAA Club is proud to possess a top class playing pitch, plus 2 modern dressing-rooms as well as a splendid and spacious Club Social Centre with its own car park and more recently we have added a top of the range All Weather Astro-Turf and Hurling Alley facility with modern floodlights. The first Club Social Centre was officially opened on August 4th 1974. It was replaced twenty years later in ’94 by a new ultra modern Club Social Centre. It was opened in December ’95 and is clearly a vote of confidence in the future of Mount Sion and its people. Since 2007 the club has under taken a huge development plan which is self-funded by the members. In 2007 the club constructed the All Weather Pitch with state of the art flood lights. 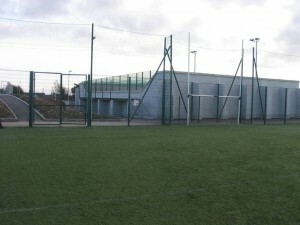 The construction of the Hurling Alley started in mid 2009 and both facilities were officially opened by President of the GAA Christy Cooney on 5th June 2010. Also during his visit he renamed the main pitch after our late great Life Chairman and past GAA President Padraig O’Fainin. An honour to the man who lived for his beloved club Cnoc Sion. In 2010 the development continued. The existing driveway was extended and the club grounds were fully secured by fencing around the entire property. The ambulance entrance to the both the main pitch and Brother’s field were finished. Also the nets on the main pitch were replaced with higher and stronger wire mesh. 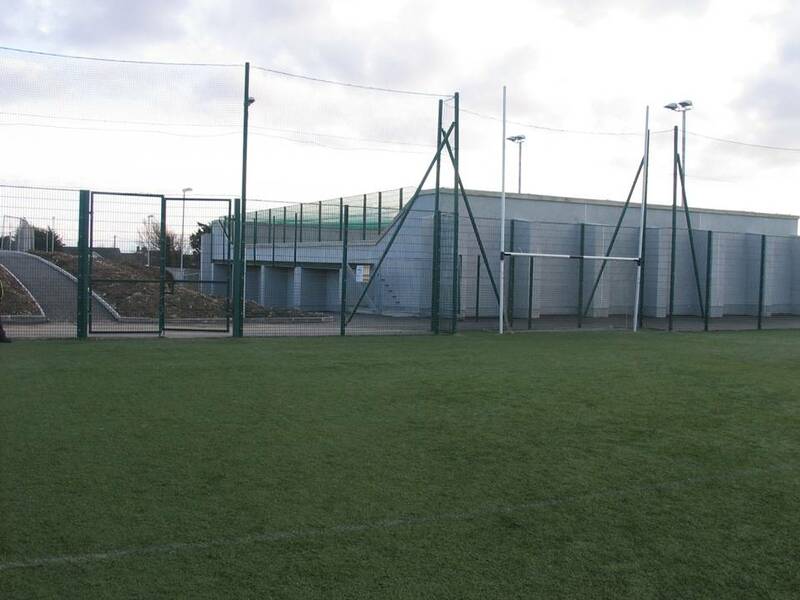 The school playing grounds, comprising one full size pitch and a juvenile pitch and four dressing-rooms, are situated adjacent to the Club Grounds and Social Centre. The playing pitches, which are of different sizes, are utilised to the full by Mount Sion Primary and Secondary Schools and the GAA Club. The playing surface is of top quality. All age groups are catered for in Hurling, Gaelic Football, Camogie and Ladies Gaelic Football. The club and the schools at Mount Sion have always worked in partnership and in harmony for the promotion and development of Gaelic Games among the youth.